In the more than 300,000 operations requiring cardiopulmonary bypass (CPB) performed yearly in the United States, aortoatriocaval cannulation is the most frequently used standard method for venous drainage and arterial perfusion. Following the landmark contributions to extracorporeal circulation and oxygenators by Gibbon,1 Dennis,2 Lillehei,3 and Kirklin4 in the 1940s and 1950s, arteriovenous cannulation progressed from femorovenous to aortoatriocaval cannulation in the mid-1960s. 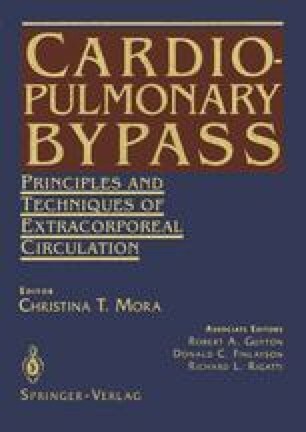 In 1968, Gerbode5 reported on a new technique of arterial perfusion that involved cannulating the ascending aorta, and in 1970, Taylor and Effler6 reported their experience with this technique in 9000 cases with only one lethal complication.